Like 14 Miles? We couldn’t do this work without you. All videos are free to watch, but we need your help producing them. Every donation you make helps us at 14 Miles continue the insightful investigation into what brings us together, divides us, and makes us a community. You support the laughter of a Sitkan teen as she is empowered to share her story, the righteous anger of fishermen discussing the difficult economy, and the growth of elementary school children into budding documentary artists. Become a Patron to give $1, $5, or $25 each time we publish an episode! Get exclusive extras on each episode! You may even be listed as a 14 Miles sponsor on our episodes and website! Ready to support the creation of documentary media, contemporary art, and community projects that foster participation, collaboration, and interaction? We’re grateful for any amount of change in helping us create change! 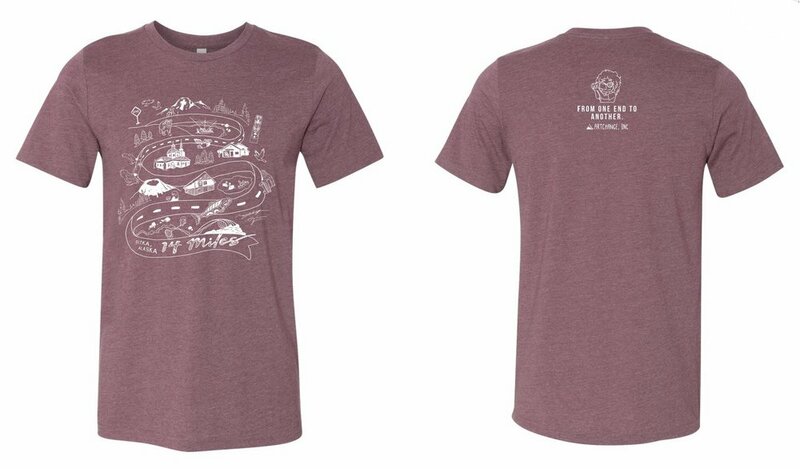 If you donate, you could get a complimentary, custom-designed 14 Miles t-shirt!